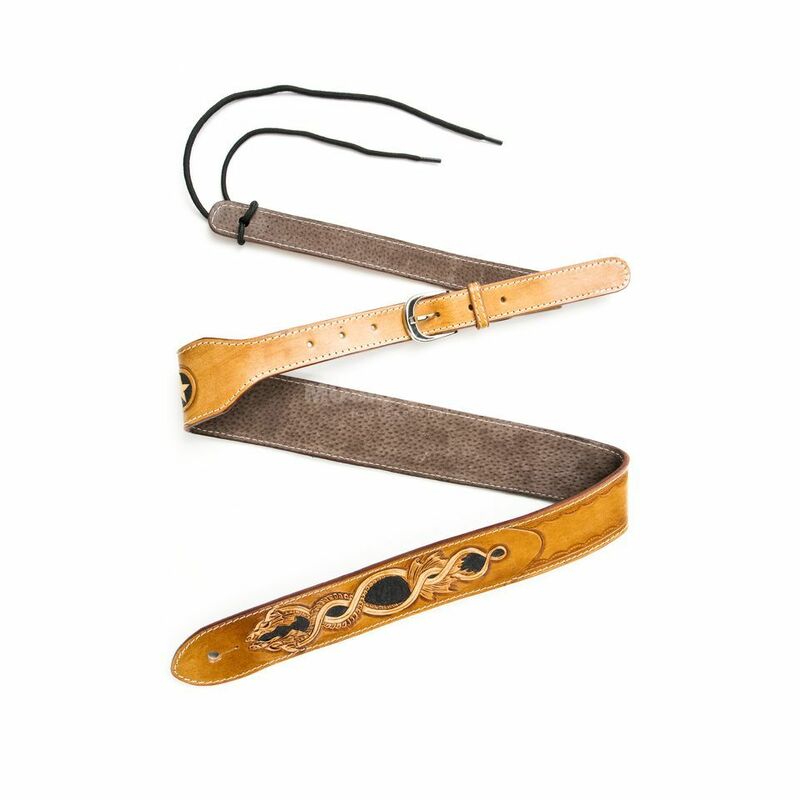 The Fame LC06 Guitar Strap Brown Leather is made from very high quality crafted leather. The strap is adjustable via six cut holes and measures 120cm x 5cm. This comfortable strap is wide enough to evenly take the load of heavier guitars, and stays comfortable for prolonged wearing. The strap features a beautiful dragon design.